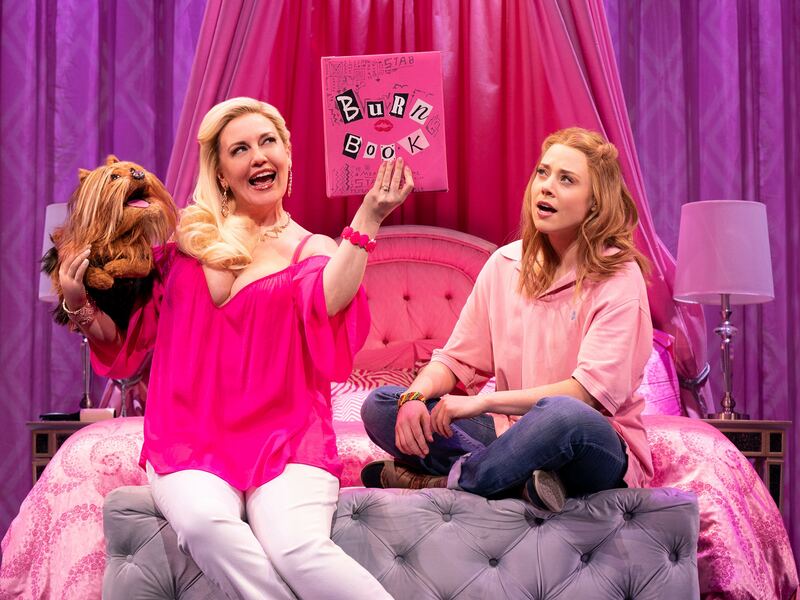 Last year, the cult classic Mean Girls arrived on Broadway to rave reviews and quickly became a smash hit, leading the 2018 Tony Awards with 12 nominations. One year later, audiences are still filling up August Wilson Theatre to watch the naïve Cady Heron take on The Plastics. 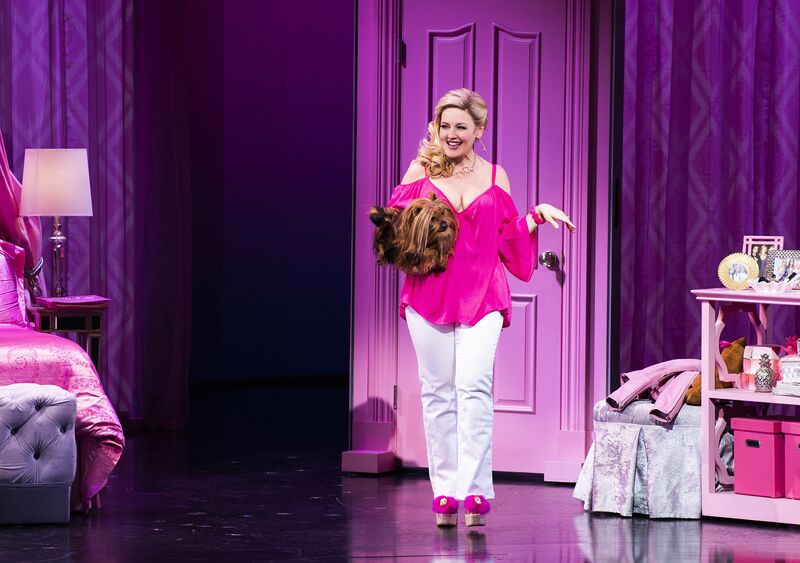 In the musical, Jennifer Simard plays not one, but three, iconic characters to perfection, stealing multiple scenes with dry wit and hilarious comedic delivery. Gotham chatted with Jennifer to discuss bringing Mean Girls to the stage, how the musical lives up to the classic film, and the challenge of playing three different characters. Tell us about the experience of playing Mrs. Heron, Ms. Norbury, and Mrs. George, and what you love about each character. JENNIFER SIMARD: I love playing many characters as it reminds me of how I started in New York. I cut my teeth doing impressions in Forbidden Broadway and I created about eleven roles in I Love You, You're Perfect, Now Change, so this feels like coming home. The thing I like about Mrs. Heron is the challenge of creating a fully realized character in a short amount of time. For example, she has a one word exit and walk off stage in Act 2 that makes me very happy as it's fun to successfully communicate the funny with as little as possible. I love Ms. Norbury as she is probably the most like me in real life (although I stink at math). I love her dry sense of humor and pathos. Mrs. George might just be my favorite as I find her to be the most layered. It’s easy to think Mrs. George might be just one thing, but it's fun digging beneath the surface. There's a lot of pain in there and in the pain, there's gold. How does it feel to play such iconic roles made famous by Ana Gasteyer, Tina Fey, and Amy Poehler in the film version? JS: It's an honor and a challenge. I think each of their performances is absolute perfection in the film. My challenge, as the sole arbiter onstage, is to make each of the characters unique in a two and a half hour show. For example, I have to make my voice different for each while maintaining the intention so there is distinction. If I were playing one part, I might opt for something a little different than what I'm doing but with all three, I have to widen the chasm. How do you feel the musical lives up to the film? JS: Really good art stands the test of time. The film holds up so well and the musical pays homage to it while staying fresh with our current climate. Tina and Company have really done a magnificent job at creating something topical that is also a huge love letter to the Broadway musical art form. I think death for any artist is putting your figurative glass figurine on the shelf and declaring the work "Done!" You're never done. There's always room for improvement. Tina and Co. get that. What’s your favorite moment in the show? Is there a particular scene that you love? JS: I have so many including Karen’s “Rule of Two’s” monologue. I love that the person most people write off as the dumbest is actually the wisest. For me personally, it's the treadmill scene with Regina George/"What's Wrong With Me?" reprise with Gretchen Wieners in Act 2. It's a comedienne's dream. It's written so well with so many funny hidden treasures. As well, there's pathos. The best comedy, in my opinion, has that darker layer to it so it is everything I like wrapped up in one little gem of a scene. What has been the most memorable moment for you so far? JS: I think it was the day of my opening night. The New York Times was trailing me for an article and I met with our Director Casey Nicholaw that afternoon. He said “You're going to be so [clap] good [clap] tonight [clap].” And I was transported back to 1999 when Casey and I did a recording of the hilarious song, “Sleighride From Hell" from A Christmas Survival Guide together. It brought a tear to my eye to see how far he's come, how far I've come and that we have the privilege of doing this Broadway show. I view success to a large extent as time put in, falling down, getting up, brushing yourself off and still standing. In that moment, I felt all of that and I'll never forget it. When you’re not on stage, what do you love to do in New York City? Any favorite hangouts? JS: I love trying steakhouses I’ve never been to and then comparing and contrasting them. So far, I’ve successfully crossed off my list: Peter Luger, Keens, Gallaghers, Ruth’s Chris, Westside Steakhouse and Wolfgang’s. So keep an eye out for me steakhouses, I’m comin’ for ya!